Are you new in Nagpur and are you searching for good furniture shop in the city to purchase furniture for your home or office? If yes, this article will definitely help you to find out some furniture shops that can provide good quality items at affordable rate. Ess Dee is a leading manufacturers & suppliers based at Nagpur and it provides all types of office and classroom furniture. You can depend on Ess Dee for superior quality of products, prompt delivery and affordable pricing. V-Tek Furniture is an ideal option for all types of furniture like sofa set, Diwan, center table, TV set, beds, dressing table, office chair, hotel table, stool, dining table and dining chair etc. Akash Furniture provides variety of furniture such as different types of chairs, restaurant furniture, Montessori furniture, office furniture, computer furniture, steel furniture, moulded furniture, residential furniture and school and college furniture. Ambience Interior Mall is one of the biggest furniture malls of Central India where you can see a huge collection of ethnic, modern and contemporary designed style furniture for your home, shop or office. The store that spreads over 20,000 square feet ensures customers a relaxing shopping experience. Eros Furniture Mall can be called as one of the first furniture malls of Central India that has a wide collection of furniture for domestic, business, corporate, hospitals and schools purposes. 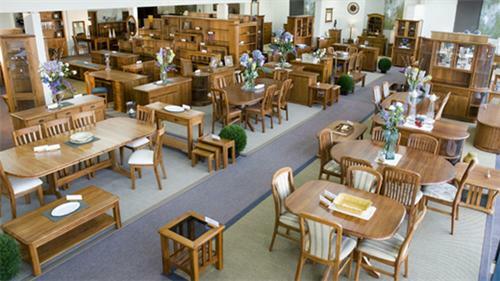 It always tries to introduce latest as well as best quality furniture to the customers at reasonable price.